LUCKNOW: Days after she was appointed the Congress party general secretary and in-charge of eastern Uttar Pradesh, Priyanka Gandhi will arrive in state capital Lucknow where she will hold a mega roadshow on Monday. Priyanka will be accompanied by his brother and Congress president Rahul Gandhi and another senior party leader Jyotiraditya Scindia as she makes her first public appearance in the state after her new assignment. 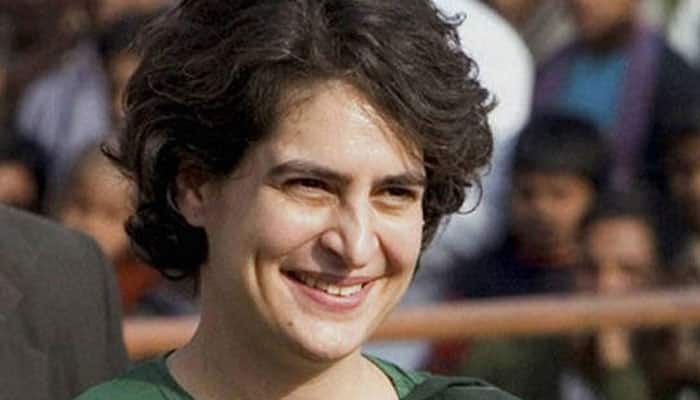 Enthused by her appointment ahead of the crucial Lok Sabha election 2019, Congress workers have planned a grand welcome for Priyanka and several others when they arrive in the state capital on Monday. Congress workers, led by Uttar Pradesh Congress Committee (UPCC) chief Raj Babbar, have made elaborate arrangements to welcome their leaders. According to reports, Rahul, Priyank and Scindia who will arrive at the Lucknow airport and then pass through the main areas of the state capital to reach the Nehru Bhawan office of the UPCC. They will be welcomed by party workers and leaders at nearly 37 points in the city between the airport and the UPCC office, Congress spokesman Anshu Awasthi said. Hoardings of Congress leaders, including Rahul Gandhi and Priyanka Vadra, have been put up along the route they are proposed to take. Banners on the route read, “Waqt Hai Badlav Ka”. Workers of Congress and its grassroots organisation Sewa Dal have been giving final touch to the preparations since Sunday. UPCC chief Raj Babbar held a meeting of Congress workers on Saturday evening to review the preparations for the road show, which will also be attended by All India Mahila Congress chief Sushmita Dev and general secretary Anupama Rawat. Elaborate security arrangements have been made for the visit. Special Protection Group personnel, who provide security to the Gandhis, had visited the UPCC office earlier to review arrangements, the party sources said.